The moving and majestic musical Les Miserables is driving audiences wild in a brand-new, Tony-nominated production playing at the Imperial Theatre. Forget the movie or past productions, you've never seen the show like this before. And like the 10th and 25th anniversary concerts before it, this Les Miz features an absolute dream-cast: Ramin Karimloo as Jean Valjean, Caissie Levy as Fantine, Tony winner Nikki M. James as Eponine, and we can just keep going, but space is limited. In other words, it’s an event to see Les Miz on Broadway again, and thanks to show’s official Tumblr, fans have even more access than any other production of Les Miz. 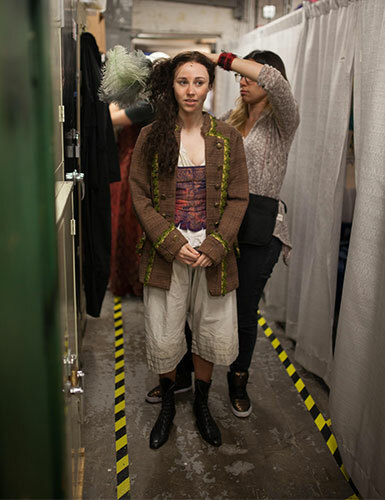 Below, BroadwayBox spotlights 12 of the most stunning backstage photos by photographer Max Gordon. 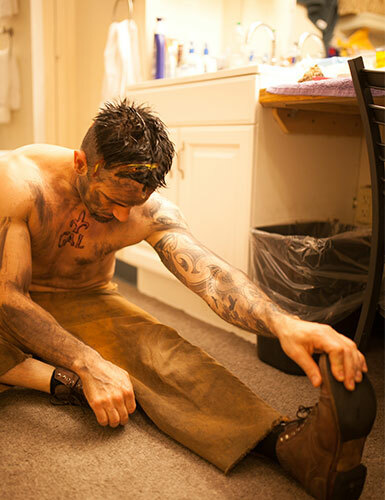 Headliner Ramin Karimloo (Jean Valjean) is getting all scarred and rough looking for this super-physical production. We love the high-low/period-modern look going on here. You get a very modern Nikki M. James (Eponine) with those fabulous shoes, just chilling in front of the 'Master of the House' set before fight call. Speaking of chillin', how adorable is this candid of dressing room-mates Kyle Scatliffe (Enjolras) and Andy Mientus (Marius)? 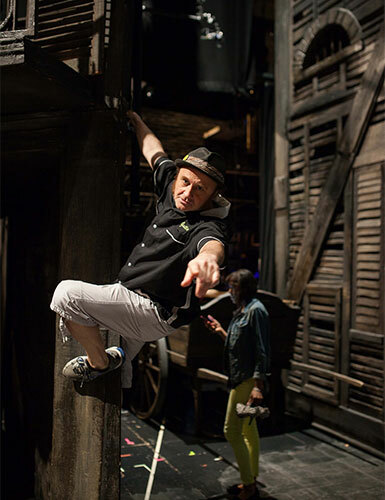 And below is an awesome action shot of Cliff Saunders (Thenardier). We can't even handle the cuteness factor in this photo of young star Mia Sinclair Jenness reading 'The New York Times.' It's almost like if there were a castle filled with kittens on a big, fluffy cloud. The latest photo added on the Tumblr is this cool close up of a convict jacket. Places people! Here's Andrew Kober and Nikki M. James sharing a smile before the top of the show. Let's hear it for the boy: Max Gordon. The way the light hits Keala Settle as she readies to return to the stage for curtain call—amazing. What? Were we not going to put up at least one shirtless photo of Ramin? Come on...Follow the Les Miserables Tumblr here, and don’t miss out on experiencing this positively electrifying revival for yourself.